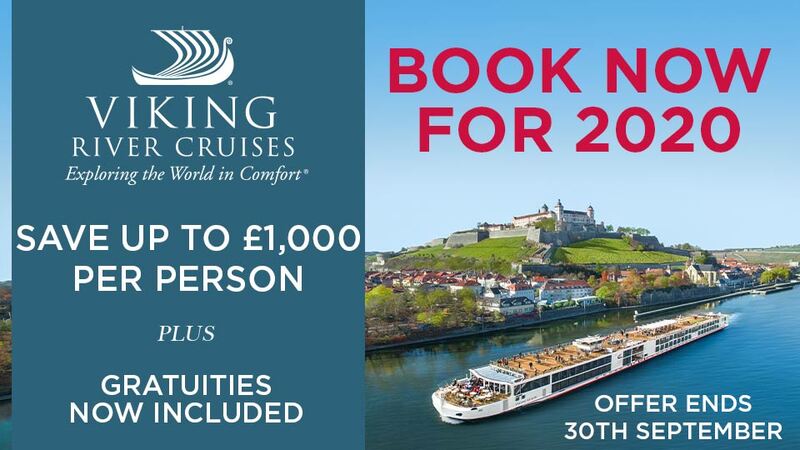 Germany’s spectacular backdrops and breathtaking natural wonders will reveal themselves as you cruise along the alluring Moselle and Rhine rivers. Uncover the best-kept-secret in river cruising, the Moselle, as you sail past some of Europe’s most serene, village-dotted and vineyard-lined landscapes. Discover the cities along the rivers where you’ll encounter cosy German towns and villages, a myriad of bike trails, stunning wooded and mountainous areas, Germany’s beguiling history and delectable cuisine. 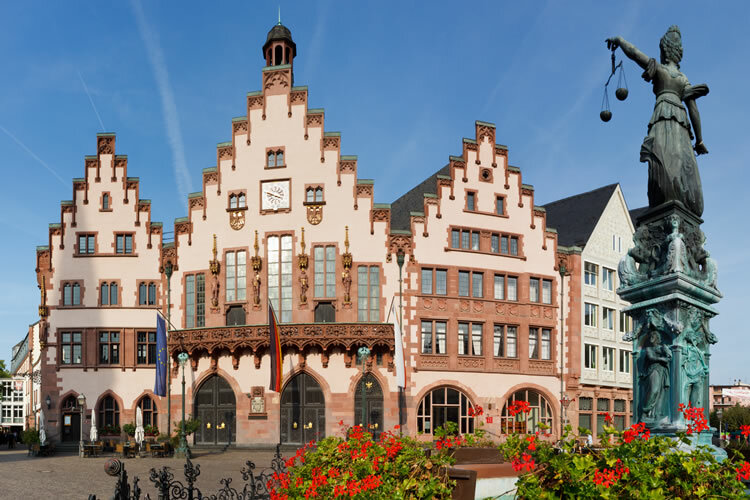 Spot timber-framed houses with flower boxes, intimate squares, and historic buildings starting in Frankfurt. Step into old-world Europe with a “Let’s Go” experience that will show you Mainhattan (not to be confused with New York City’s beloved borough) by bike. Wander through charming Mainz before venturing to Rüdesheim, where you can explore the Abbey Eberbach. Enjoy a Rhinegau Riesling tasting within the historic walls and explore the grounds of the popular and picturesque filming location. 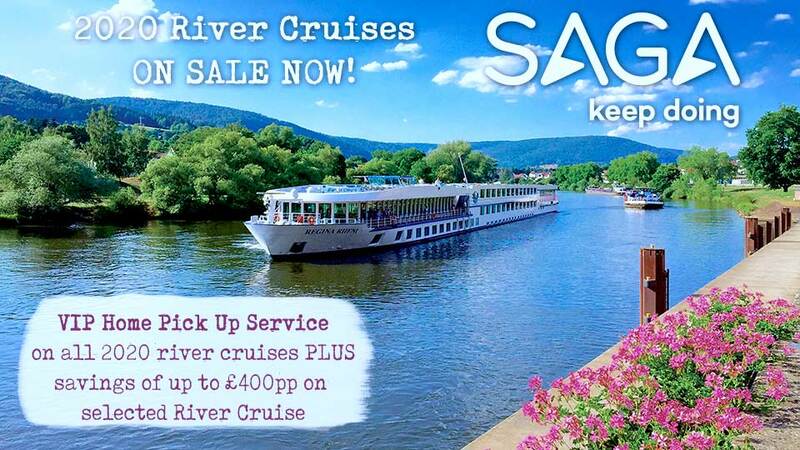 Arrive in Frankfurt and transfer to the cruise terminal where Amadeus Queen will be waiting for you to embark. Settle into impressive Frankfurt. The city and its business district, Mainhattan, flaunt mixed material skyscrapers that protrude from its otherwise classically German skyline. The financial and business hub is home to one of the world’s largest stock exchanges. Experience one of Germany’s most unique cities by foot or by bike, making time to sample its famed Ebblewoi, apple wine, or its schnitzel topped with green sauce. Bike through Mainhattan and past its stunning Banking District, Central European Bank District, Goethe University and captivating Museum Mile. Start your day with an array of opportunities in this colorful and medieval German city nestled on the Rhine. What was once a Roman military post, Mainz still holds on to its historical importance in a whole new age. Explore Mainz’s natural wonders with a trip to Wiesbaden’s hot springs and take a dip in the sparkling mineral waters. Wander around Mainz’s Old Town and marvel at its old-world buildings’ Gothic architecture. Mainz is marvelous. When your afternoon begins in vibrant Rüdesheim, you won’t know where to start. Journey to the extraordinary Eberbach Abbey, one of the most remarkable architectural sites in all of Germany. The former monastery sits in the acclaimed Rheingau region and has been a popular filming location movie and television. We’ll treat you to a Rheingau Riesling wine tasting within its historic walls. Choice of “Let’s Go” Rhine biking or walking on higher grounds with chairlift ride to Rhine Bend view and vineyard hike. Perhaps one of Germany’s most colorful cities, Cochem feels just like a storybook with its dramatic castles. impressive landscapes and pastel-colored shops, restaurants and buildings lining the banks of the Moselle. Perched high above on a cliff the brilliant Cochem Castle, or Reichsburg Cochem, brings German history and culture to life and provides panoramic views of the Moselle and Cochem below. Amidst Cochem’s rolling hills, sits the community of Ediger-Eller. Enchanting in its own right, Ediger-Eller shares many of its neighboring towns German characteristics and charm. Embark on an exclusive exploration of the town where you’ll be joined by the mayor of Ediger-Eller for a tasting of scrumptious local Rieslings. Or, head to the outskirts of town and journey through some of Europe’s steepest Riesling vineyards. Trier is no stranger to famous landmarks, stunning cathedrals, natural beauty, UNESCO World Heritage sites and architectural treasures. See Trier’s Roman heritage and Gallic charm as you stroll to some of the city’s most notable spots. Marvel at stone Roman gate, Porta Nigra, the Karl Marx house, Imperial Baths and more. Or experience Trier’s culinary side on a journey to uncover the best regional products and local wines. Feast like a Roman and sample dishes based off of first-century Apicius recipes as you meander through lively markets. Bernkastel sits peacefully in the Moselle Valley and is as romantic and picture-perfect as it gets. Explore by foot its scenic streets, taverns and vineyards, and enjoy a tasting of exceptional regional Rieslings. Aside from the medieval marketplace, a must-see is the Graach Gate, the last remaining town gate of Bernkastel-Kues. Its original purpose was that of protection, hoping to ward off foreign aggression in the 1300s, but now it’s a museum of local history and a beloved landmark. If a bike is your transportation of choice, cycle along the dreamy paths of the middle Moselle. Contemporary History or pedal along the Rhine’s breathtaking promenade. This afternoon, your ship will arrive in Cologne. Take a guided tour of the famous Cologne Cathedral or experience it like a local by visiting its Kölsch beer halls, stylish Belgian Quarter or one of the many Art Nouveau cafés. Disembark River Queen and transfer to the airport for your flight to the UK.